JNN 10 Dec 2014 Sanaa : Witnesses say the Shia fighters of Houthi tribe entered the Military academy on Friday with no resistance from the guards and stationed their patrols inside. “The Houthis are now in control of the academy’s gates,” a witness said. Neither the Ansarullah nor the government has offered any comment with regard to the issue. The development comes a few days after Defense Minister Mahmoud al-Subaihi said that Ansarullah fighters might be allowed to join the Yemeni army. In September, Ansarullah revolutionary fighters gained control over key government buildings in the capital, Sana’a, following weeks of demonstrations and a four-day battle with army forces loyal to General Ali Mohsen al-Ahmar, the half-brother of the country’s former dictator, Ali Abdullah Saleh. On November 2, Yemen’s main political parties, including the Ansarullah revolutionaries, signed a UN-brokered truce deal in a bid to put an end to the political crisis crippling the country. On November 9, Yemeni President Abd Rabbuh Mansur Hadi swore in the country’s new government despite opposition from Ansarullah revolutionaries which called for replacement of a number of newly-appointed ministers on the grounds of corruption and lacking qualification. The Ansarullah movement played a major role in the popular uprising that forced Saleh to step down in 2012 after more than 33 years in power. Five roadside bombs have gone off in the Yemeni capital Sana’a, leaving eight members of the Houthi movement Ansarullah wounded. According to the Yemeni Ministry of Defense, the bombs targeted Houthi fighters’ checkpoints and some houses early on Monday while two other devices were dismantled. The injured were taken to hospital and three of them are said to be in a critical condition. There has been no immediate claim of responsibility for the bombings, but the attacks bear the hallmarks of a branch of the al-Qaeda Terrorist group in Yemen. The Terrorists on December 03 claimed a car bomb attack on the residence of the Iranian ambassador to the Arab country in a statement published on their Twitter account. 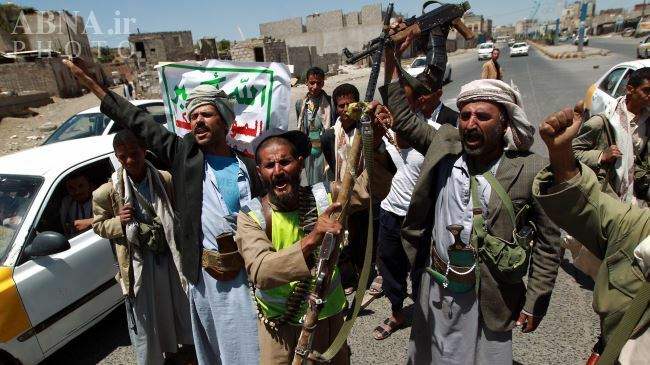 Al-Qaeda Terrorists frequently carry out bomb attacks in Yemen and have been locked in deadly battles with Ansarullah fighters. AL-Qaeda-linked violence against Yemeni security forces has also been growing since February 2012, when President Abd Rabbuh Mansur Hadi came to power in a one-man election backed by Saudi Arabia and the United States. Yemen’s central government has so far failed to confront the terrorist threat. Shia Ansarullah fighters, however, have intervened to fill the vacuum and have driven al-Qaeda Terrorists out of many areas in the country. Meanwhile, in a separate development on Monday, media reports said that Yemeni President Hadi has sacked his armed forces chief of staff. No reason was given for his sacking Ahmed Ali al-Ashouel on Sunday who was replaced by General Hussein Naji Hadi Khairan. This entry was posted in Middle East and tagged Abd Rabbuh Mansur Hadi, Ansarullah, Military Academy, Shia Houthi, Yemen. Bookmark the permalink.